"This is a good choice for a parent wanting a comprehensive view of their child's daily life (multiple children can be tracked too!)" My Autism Day is fully compatible with iOS 6. Please note in the "Care Givers" section , you will receive a message that will will ask your permissions to access your contacts. This is a great addition from Apple. My Autism Day uses the contacts information for the Address Book to only lists contacts in the App. My Autism Day do not submit the information outside the app. 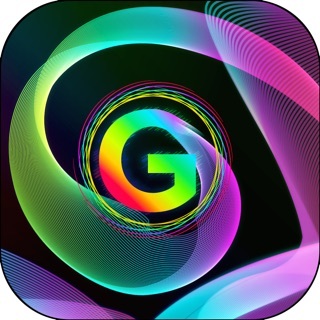 I respect the App users privacy and it is in use only for the iOS devices connected to the same iTunes account where the app has been purchased and downloaded. This feature is being used by iCloud, if you are adding a new caregiver in "My Autism Day" and if you enabled iCloud on your account, the new caregiver will be updated on your other iOS devices. Any updates will be synced as well. Facebook integration has no change. Some of you may see a message "iOS bundle id is missing". This does not impact the functionality of this features. Facebook posting is only done by the app user request only. My Autism Day is optimized for Retina Display of the new iPad. 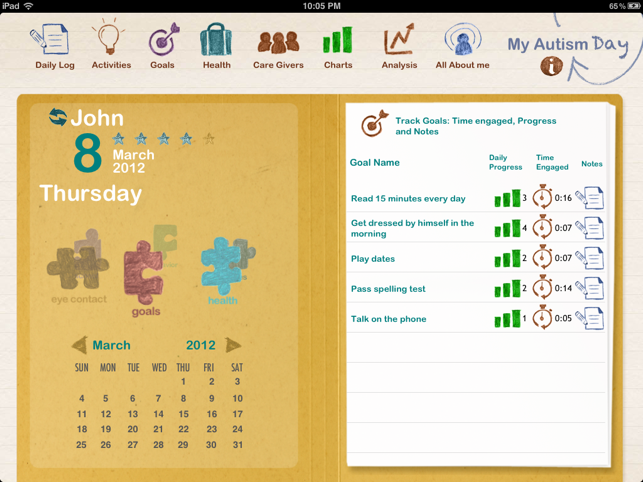 My Autism Day replaces your daily planner, address book, progress reports, baby sitter notes and therapy recommendations. It not only keeps all these notes in one place, caregivers can use the graphs and daily comparison options to better understand what’s working and what strategy should be scrapped. How can you figure out what to do next if you don’t truly understand what you’ve done before? This app puts everything you do in perspective. Compare days of the week. Recognize what food intake leads to more focus and faster learning. Notice how much sleep leads to a brighter day at school. 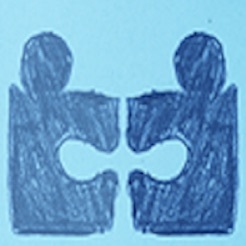 Even better, the more you learn, the more you can share with others. 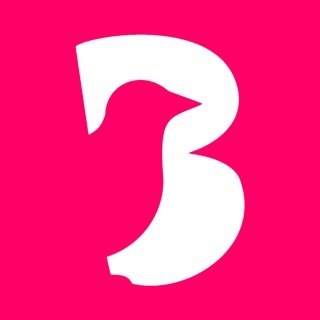 This app allows you to quickly post your ideas on social media or share with your friends who also have kids with special needs. 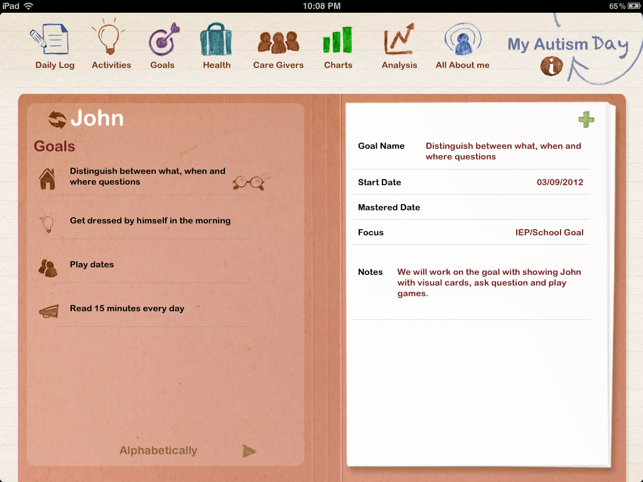 Daily Log: Keep notes about behavior, school, eye contact, goals and health. 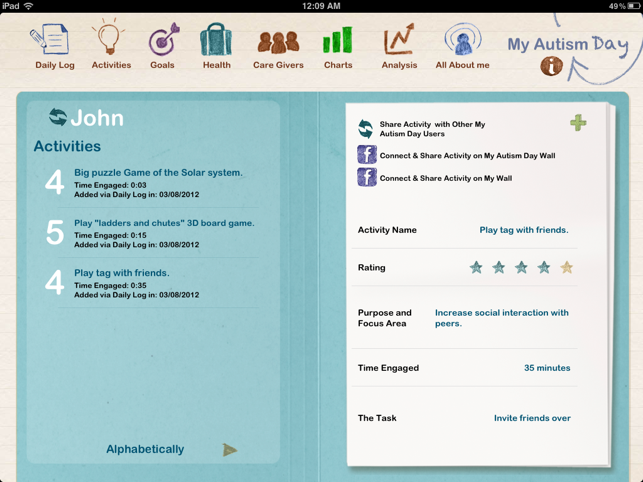 Activities: Record specifics about time at play and learning exercises. Goals: Set goals for school and home life. Track them with this section. Health: Prescriptions, supplements and vitamin intake information is crucial. Keep it recorded here. Caregivers: Take notes about the last visit, and keep track of the next appointment. 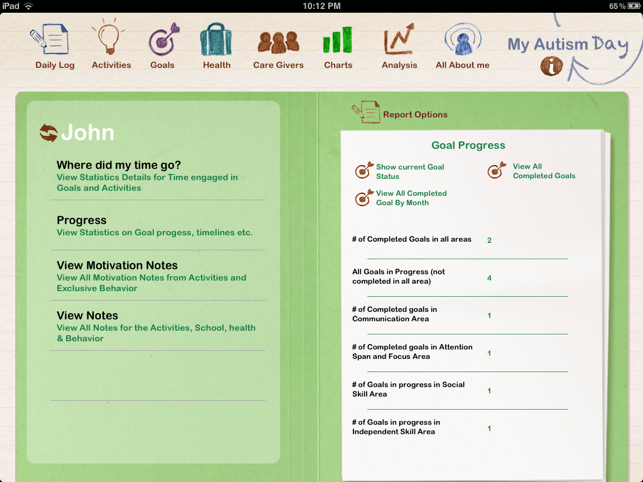 Charts: Your information about goals, health, behavior and eye contact. You've made life a bit easier for parents! 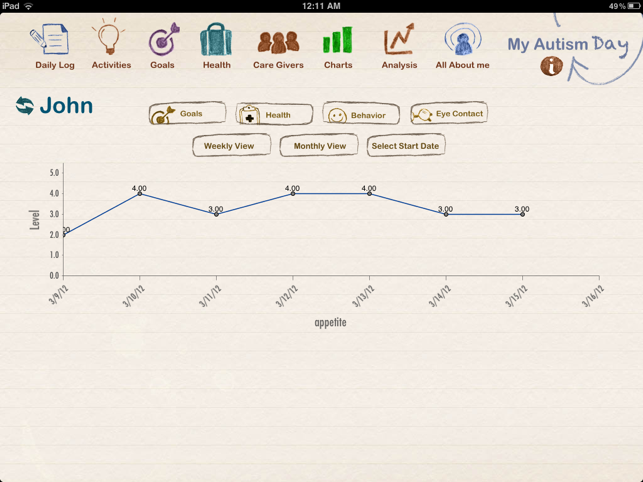 As a parent, this is an incredible app that helps track your child's progress, medication, etc. I think there is a lot of room for improvement. More customization would be great. For example, eye contact is a major area but what if your child doesn't have a problem with eye contact but has another issue that is more important. I think it would also be great if the information would sync to the cloud so that each parent or caregiver for example could enter information on their own ipads. Last but not least, the App crashes as soon as you try to go to the Care Givers so I can't even comment on that. In summary, I think this is great start and does a lot of things very well but it needs to be further developed.